Jumong Appeal. May. 25, 2006 03:58. by Jung-Bo	Suh suhchoi@donga.com. 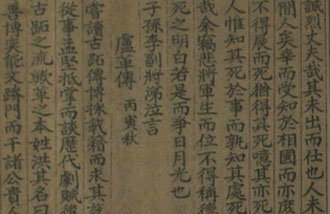 Damuls arrow is gods gift to Buyeo that the Buyeo founding father did not let go of to break the dawn of the new land. In the MBC drama that airs on Mondays and Tuesdays at 9:55 p.m. titled Jumong, this is the mission that Jumong and his half-brothers Daeso and Yeongpo are given. The journey to find this mystic object is the main theme of the beginning of the drama. Jumong recorded ratings of 25.3 percent (TNS Media Research) for its fourth episode that aired on May 23, making it the hottest drama right now. Its popularity can be accredited to the actors excellent performances. Since the drama is set in ancient times with rare archives, there are less limitations to exploring imaginary plots. 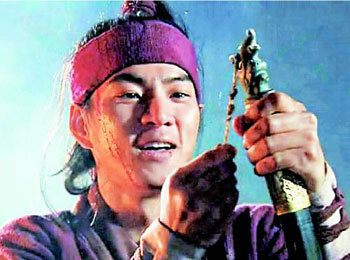 The weak and wild-spirited Jumong embarks on a journey to find the Damul arrow with his half-brothers Daeso and Yeongpo. On their way, the two half-brothers would have died were it not for the head of Jolbonguk, Soseono (Han Hye-jin). The brothers find the Damul arrow and try to shoot it, but they fail and return. Jumong also barely find the Damul arrow and pulls it, but it snaps in two. Another factor in Jumongs favor is that the past trendy dramas dealing with love triangles that were targeted at women in their thirties to fifties were getting stale. Dramas in the past concentrated on abnormal relationships, which failed to draw other viewer segments. Jumong, meanwhile, has a healthy mix of conflict and love. Theres the love triangle between the Buyeo prince Geumwa (Jeon Kwang-ryul) and Haemosu (Heo Jun-ho) over Yuhwa (Oh Yeon-su), as well as the conflict between Jumong and Daeso over the throne, and the independence movement to remove Hansagun. The ratings for women in their thirties to fifties is 12 to 15.2 percent, and for the same age group in men: 10.2 to 11.4 percent, showing an even distribution. The love story between Jumong and Soseono that is yet to come is expected to appeal to young women who are attracted to tragic love.